Can International Law Save Small Islands From Climate Change? University of Hawaii law professor Maxine Burkett explains how small island states can use legal action to attempt to protect their way of life. 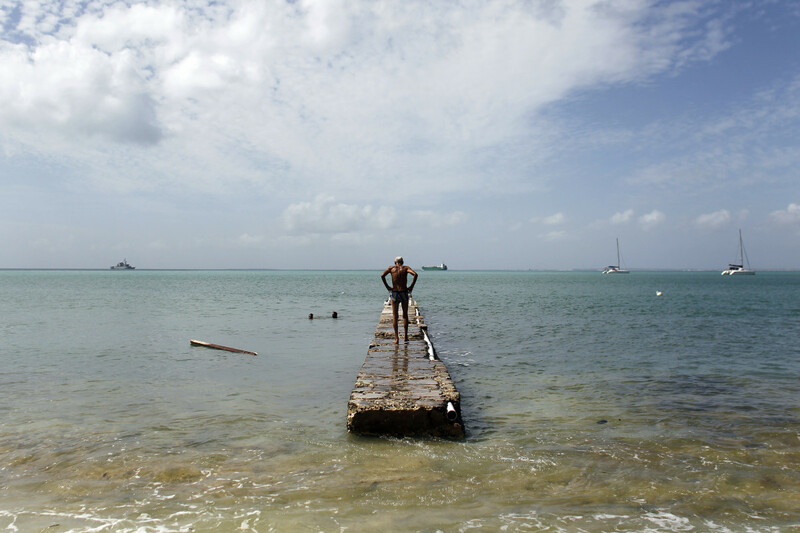 A man stands on a damage pier days after this Caribbean island sustained extensive damage in the wake of Hurricane Irma on September 15th, 2017, in St. Martin. Puerto Rico was devastated by Hurricane Maria. But for all of the damage, the island is at least a territory of one of the world&apos;s richest and most powerful nations, the United States. Many island nations are not so lucky. Small island states, such as Dominica or the Marshall Islands, are also feeling the impact of climate change, especially as it alters the ocean surrounding them. 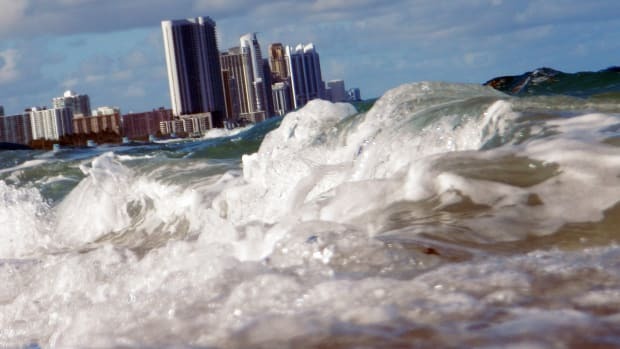 This means more than just storms and rising sea levels, says Maxine Burkett, a professor of law at the University of Hawaii–Manoa, who focuses on climate change law and policy. Climate change&apos;s impact on the oceans affects the agriculture, infrastructure, and even the psychology of the people on island nations. But they don&apos;t have a large, powerful government to turn to for aid—instead, they are trying to highlight these issues on an international stage. Oceans Deeply spoke with Burkett about how changing oceans are affecting small island states, and what legal actions, if any, they might take. Can you give us an idea of how small island nations are currently threatened by sea level rise? It depends on where you are. There are so many islands that we need to be thinking of—at least 43 are part of the Alliance of Small Island States, which are seeing coastal erosion. A number of small islands have major infrastructure on the coastline: airports, harbors, sewage treatment plants, etc. You&apos;re also seeing the impact, in the Pacific, of saltwater intrusion into arable lands, so food resources are being affected as well by sea level rise. When you&apos;re looking at a number of islands in the Pacific, taro is a staple [food] and the introduction of saltwater into those areas makes it more difficult to grow taro. We&apos;ve seen this happening in Micronesia and the Marshall Islands. Of course, in somewhere like the Marshall Islands the impact on food security is not just from the inability to grow food, but also the quality of the reef. There is a lot of concern about the state of the reefs and that affecting primary food sources and fish as a major source of protein. 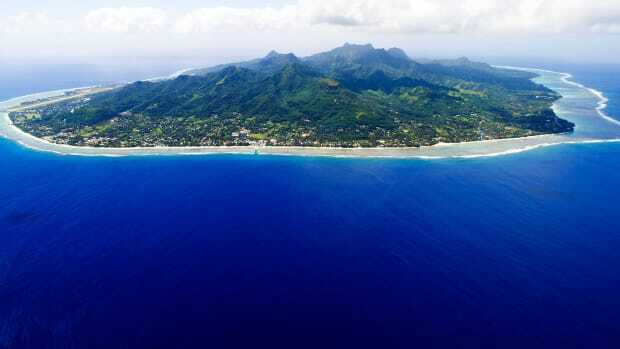 We think a lot about sea level rise for island nations, but of course there are additional risks that are, in some cases, more near-term, and that could be a lack of freshwater resources—especially for these Pacific island nations where they rely a lot on rainfall for freshwater. That is actually the near-term concern: freshwater and drought. You have written about residents of island nations that may soon have to leave their homelands because of these climate impacts. That must have a psychological impact as well. That&apos;s right. The notion, to quote a [fellow] researcher, that "their grandchildren will not grow old on the island," has an impact on them quite deeply. Ultimately, people don&apos;t want to leave their home. So we&apos;re in an interesting space right now where we have to contemplate the complete uninhabitability of some of these islands, but we also have to contemplate some major engineering feats to make sure that doesn&apos;t happen and people can stay in place. It is a real struggle. One of your papers, "Rehabilitation: A Proposal for a Climate Compensation Mechanism for Small Island States," focuses on possible legal strategies to deal with these issues: What does rehabilitation and compensation mean in this context? This is a paper that is really trying to address loss and damage. 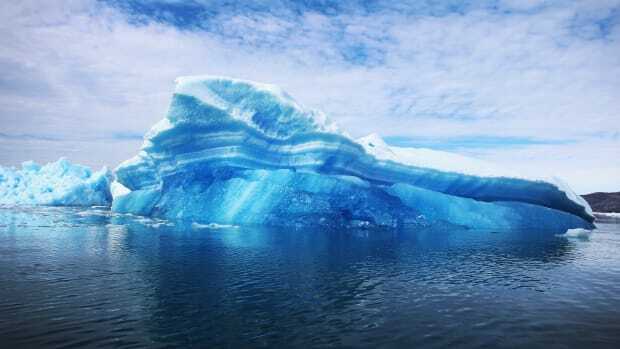 That is, finding legal avenues for responding to complete losses of things that cannot be resuscitated as a result of climate change, and [legal avenues] for damages that may be resuscitated, but as of yet we don&apos;t have the proper legal avenues to resolve. Island nations have been trying to introduce "loss and damages" into the framework of the Convention on Climate Change for a couple of decades—since the early &apos;90s. They noted that there are impacts of climate change that you can&apos;t adapt to; that will be so severe that you&apos;ll need additional resources to allow states to bounce back from those losses. There were [several] mechanisms that they sought to address it, [including] this notion of rehabilitation. [Terms like] "liability concerns" or "compensation" are really big red flags in international negotiations, so "rehabilitation" was meant to suggest that this is an opportunity to make whole, as much as possible, communities that have suffered losses. Are you referring to compensation in a purely monetary sense? It doesn&apos;t have to be. That&apos;s something that is to be determined. The paper is starting the exercise of asking the kinds of questions that we need to ask, which are: Who&apos;s eligible? What kind of remedy would they be open to receiving? If this is monetary, who would be paying into this potential global pool of resources that could help communities that have suffered losses and damages? What are the events that trigger the need for these rehabilitation mechanisms? It&apos;s an exercise in asking the question and attempting to answer, but not conclusively. We are seeing these dramatic impacts more and more—Barbuda, for instance, is now uninhabited due to Hurricane Irma. What steps can small island nations take right now? Herein lies the difficulty—it seems like there ought to be a number of legal remedies that they can take. But, of course, this is the international community, and so the kinds of appeals that you saw on the opening day of the [United Nations] General Assembly are probably the most forceful demands that can be made. [Demands like:] "We have suffered great losses. We are disproportionate contributors to the problems, and we are especially suffering from them. Recognizing that inconsistency, we request greater aid, or more committed effort to reducing emissions and supporting adaptation." And then, really building on the loss and damage provision so that so that there can be a sound framework for responding to these disasters after they happen. In the U.S. you can imagine a scenario in which you bring the emitters to court, or cite violations in terms of environmental integrity, but that&apos;s not available in the international community. So, the short answer is, I don&apos;t know that they have a clear path right now besides those political appeals at the international stage. If the circumstances were reversed—if we in the U.S. were experiencing the impacts of climate change to the extent the islands are, we would have a very different approach to it, and even more so if we were not a major contributor to the problem. I think that we can see the inequity there, and it is important to name it. The upside is, understanding our impact and understanding our responsibility is the first step in getting us to better results. This article originally appeared on Oceans Deeply. You can find the original here. For more in-depth coverage of ocean health, you can sign up to the Oceans Deeply email list. In Miami-Dade County, researchers are working to save sites at risk of being destroyed by rising ocean waters. A documentary film airing on PBS looks at New Mexico’s Jemez range, and gently and sparely shows how changing climate affects these unique "sky islands." 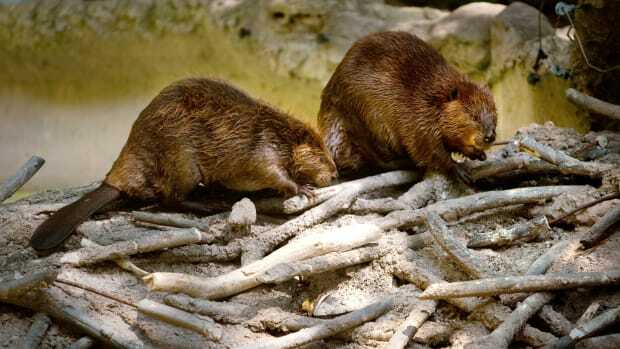 Conservation groups are threatening to use legal action to prevent the continued culling of the animal by Wildlife Services.